I made these to go with the Peanut Butter Swirl Brownies I made for my TA on Tuesday night. I have to say, they’re really excellent! So far, I’m really impressed with Baking: From My Home to Yours. Everything I’ve made from it has turned out really delicious, I think I can see why there’s Tuesday’s With Dorie (which I think I may join!). Anyways, this recipe made a lot of cookies, and I went with one of the variations on the side panel from the book because I really like coconut (though some people don’t). Totally easy to omit if you don’t like coconut, but if you do, this is definitely a keeper. I’d say this cookie recipe is a 4.5 out of 5. My family really likes these cookies, and I have to say they are really good! These are from Dorie Greenspan’s Baking: From My Home to Yours on page 68. 1. Center a rack in the oven and preheat oven to 375F. Line two baking sheets with parchment or silicone mats. 2. Whisk together the flour, salt, and baking soda. 3. Working with a stand mixer, preferably fitted with a paddle attachment, or with a hand mixer in a large bowl, beat the butter on medium speed for about 1 minute until smooth. Add the sugars and beat for another two minutes until well blended. Beat in the vanilla. Add the eggs one at a time, beating for one minute after each egg goes in. 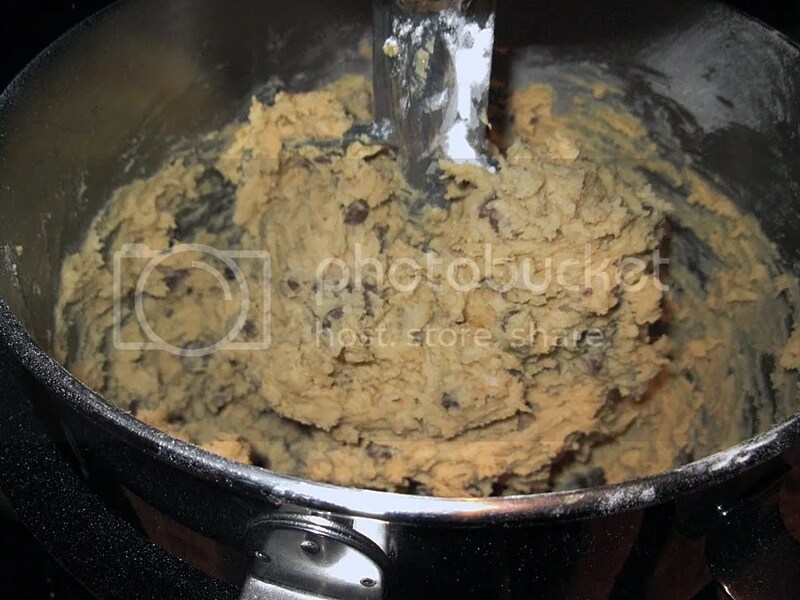 Reduce the mixer speed to low and add the dry ingredients in 3 portions, mixing only until each addition is incorporated. On low speed,, or by hand with a rubber spatula, mix in the chocolate and nuts. 4. Spoon the dough by slightly rounded tablespoonfuls onto the baking sheets, leaving about 2 inches between spoonfuls. 5. 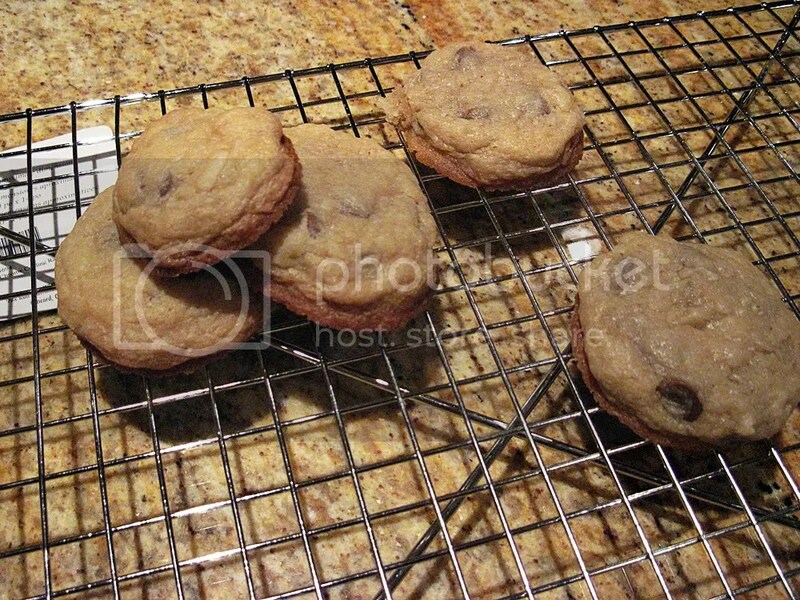 Bake the cookies – one sheet at a time and rotating the sheet at the midway point for ten to twelve minutes, or until they are brown at the edges and golden brown in the center; they may still be a little soft in the middle. 6. Allow the cookies to rest for one minute, then carefully using a wide metal spatula, transfer them to racks to cool to room temperature. Repeat with the remainder of the dough, cooling sheets in between batches.